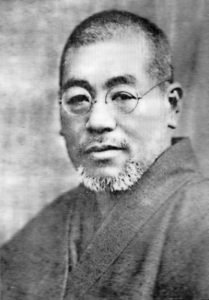 Dr. Mikao Usui, Founder of the Reiki Technique. Reiki (ray-key) literally translated means “spiritual energy” and refers to a Japanese holistic healing system developed in 1922 by Japanese Buddhist Dr. Mikao Usui. It is based on the principle that a trained practitioner can channel universal life force energy (Qi or Ki) into the patient to activate the patient’s natural healing processes by balancing the natural life force energy within the body. Reiki is an effective, non-invasive therapy for those seeking to relieve stress and pain, induce relaxation, release emotional blockages, accelerate natural healing, balance subtle bodies energies and support other medical modalities including traditional western therapies. 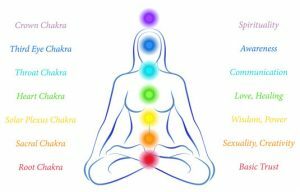 Although Reiki has sprung from a spiritual tradition you do not have to believe in a God, the soul or even Universal Life Energy to enjoy the benefits of Reiki. One only has to be open-minded to experience a Reiki treatment. The client, fully clothed, lies on a massage table. The practitioner’s hands are gently placed on or slightly above the body in a series of positions from head to toe. Reiki passes from the practitioner (the Reiki conduit) to the receiver (patient), working on many different levels. During a treatment the patient enters a deeply relaxed state (very similar to a meditation) that ignites the bodies own innate healing abilities, helping to balance and restore emotional and physical well-being. Compliment medical treatment and reduce any unwanted side effects. REIKI THEORY: HOW DOES IT WORK? Reiki rests at the intersection of spirit and science and can be best explained through quantum physics which proved energy exists at the core of every living cell in the body down to the sub-atomic level, and the principle that an absolute universal life force energy flows through all living things. 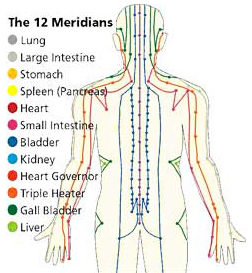 On a physical level, Life force energy flows through the body through energy centers called chakras and pathways called meridians. This Life force nourishes the organs and cells in the body, enhancing and activating the bodies natural healing ability through the immune system. When the flow of this force is disrupted or blocked, it causes diminished functioning in one or more organs or tissues in our physical bodies. Reiki treatments, by way of harnessing this Life force, promotes the balance and restoration of the physical body on all levels. Life force is also responsive to feelings and thoughts. It is affected when we accept, either consciously or unconsciously, negative feelings or thoughts about ourselves. These thought forms can hinder the natural flow of the Life force. When one or more Chakra is out of alignment, an unbalanced system within your energy field is the result. Reiki heals by flowing through the affected areas of the energy field, charging them with positive energy and clearing blockages. It raises the vibratory rate of the energy field in and around the body. Reiki clears and heals pathways allowing the Life force to flow freely, resulting in feelings of relaxation and ease and enhancing the bodies natural healing ability.